Poaching: It’s not Kenya’s problem, nor South Africa’s nor every other country where the vile act is occurring. It is everyone’s problem. A worldwide issue. Ivory and Insecurity: The Global Implications of Poaching in Africa. Dr. Iain Douglas-Hamilton, the internationally renowned founder of Save the Elephants testified along with two other witnesses. I have been sending clients on safari since 1982. Kenya’s tourism industry is essential to the country. Without it devastation will reign, leaving the United States and other countries with no recourse but to intervene financially. This is one of the many scenarios that could happen if poaching is not brought under control. For those who missed the live video, the testimonies can be downloaded. Please click on ELEPHANT. 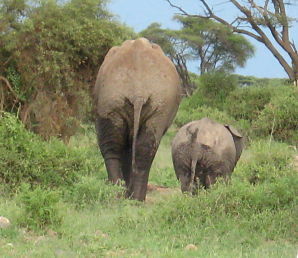 This entry was posted in Poaching and tagged Dr. Iain Douglas-Hamilton, elephants, Kenya, poaching. Bookmark the permalink.